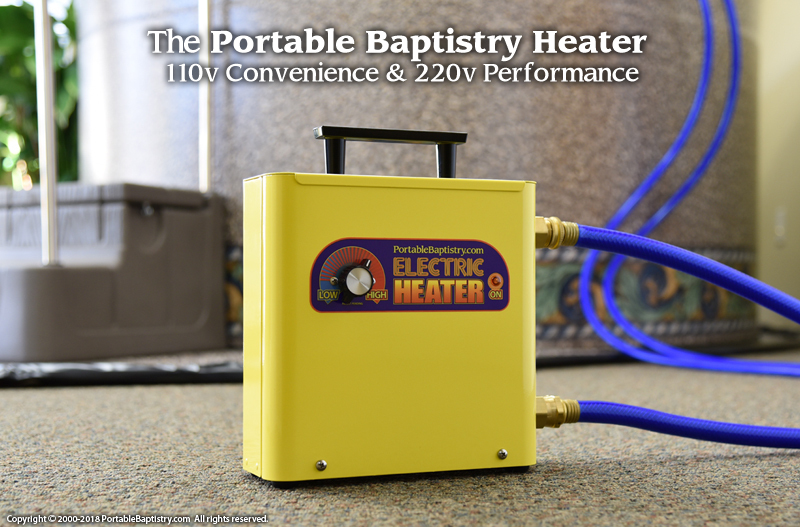 Portable Baptistry DEMO Models are new 'display' models that have been set-up for demonstration or training, but may have some minor cosmetic imperfection(s). 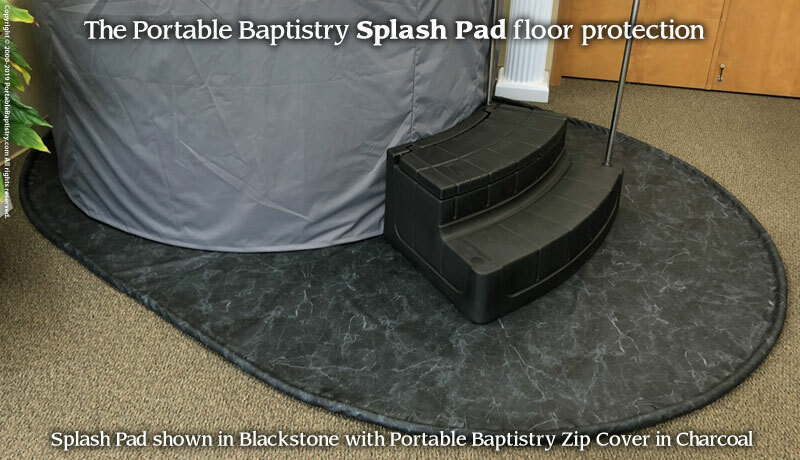 The Portable Baptistry DEMO offers the contemporary appeal, accommodating size, and unparalleled portability of the full-size Portable Baptistry, along with FREE essential accessories to enable you to set-up and baptize the day it arrives. 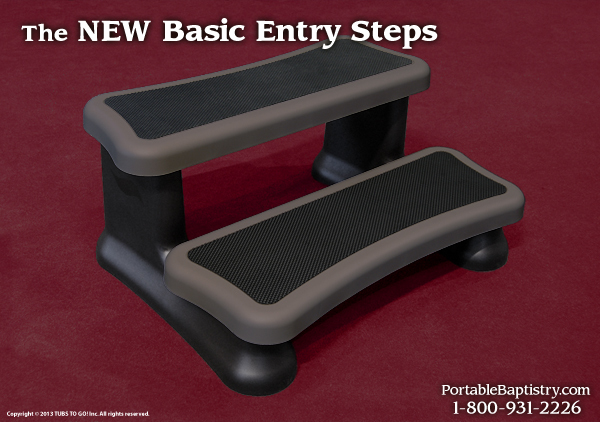 The NEW Basic Entry Steps with rubber treads for sure footed entering and exiting of the Portable Baptistry are included with every full-size Portable Baptistry DEMO. 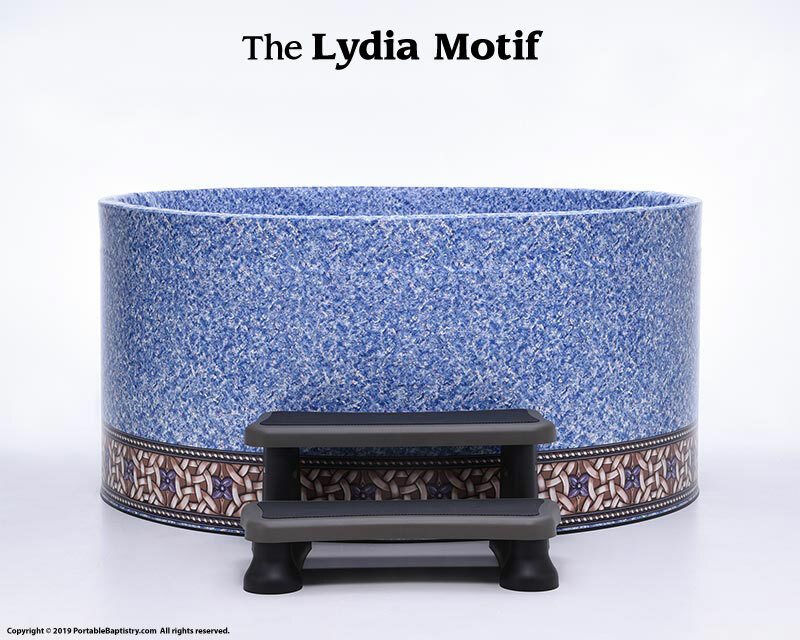 At this time, DEMO Models are only available in the Lydia Motif. 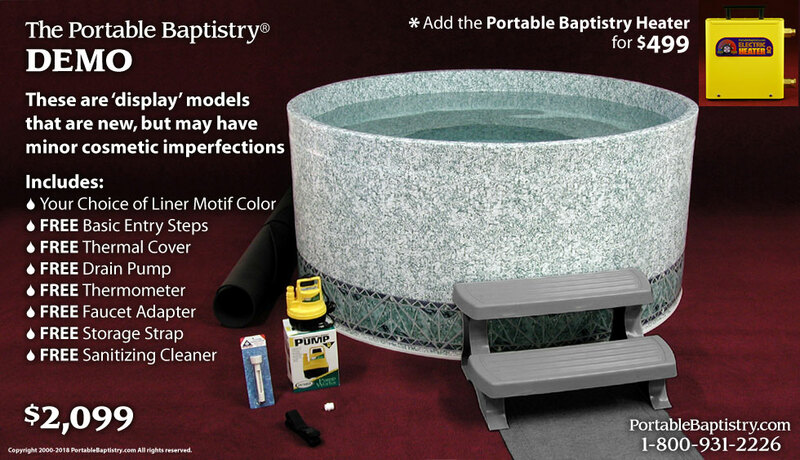 For a different look, all of the above Liner Color Motifs are currently available with our other Portable Baptistry Models, and are also available for purchase separately as an additional Liner Color Motif for $499. 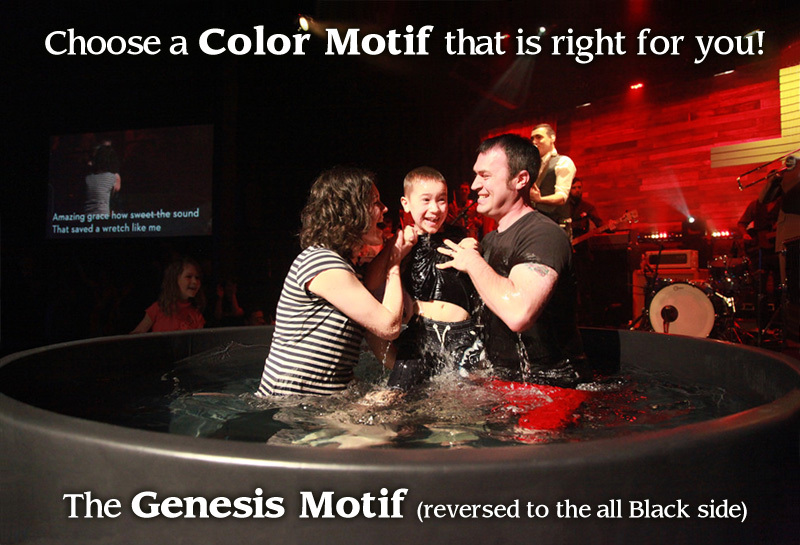 Order by phone 1-800-931-2226.